Click here to download the V-player app for your iPhone. Click here to download the AR-test-app for your Android device. 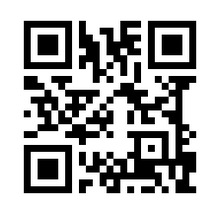 Scan with your V-Player app this QR-code. You will only notice a subtle vibration (buzz) in your phone. That’s enough: you are ready to go.